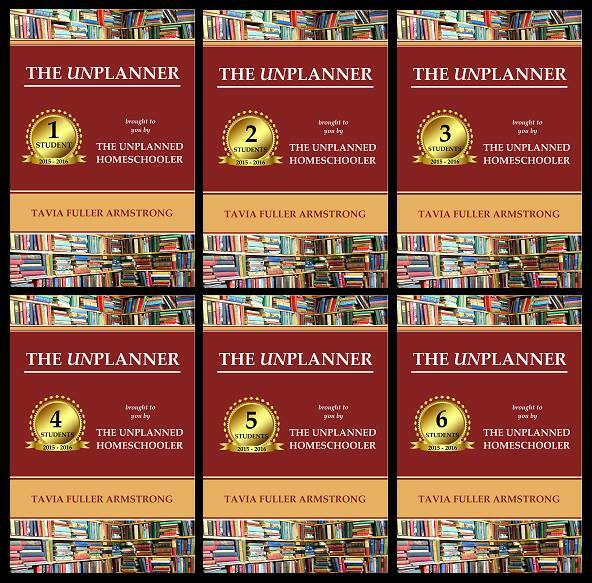 The UNPlanner for writer, and homeschool mom, Tavia Fuller Armstrong-"The Unplanned Homeschooler." The UNPlanner is a unique planner in that it is tailored to a specific number of students, 1-6, and it is more simplistic that a lot of other bound planners. This planner doesn't include a lot of fluff! 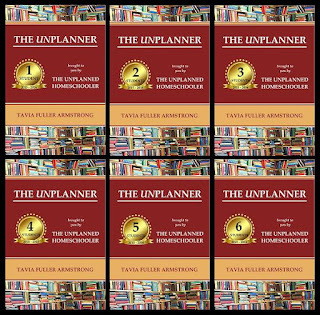 For this review, I was graciously given a PDF copy of The UNPlanner for one student. I figured it was easier if we just go down the list. The intent of this planner is to not really plan. If you're not much of a planner, like myself, this is pretty great. It is easily changed, and there is ample space to jot down those spur of the moment things that randomly pop up, as they often do. The introduction is just that. It introduces the author's purpose and reasoning behind The UNPlanner, and lets the user know what sets this planner apart from the rest. In our state, we are not required to record attendance, but it is still a handy section to have for states like mine for our own personal benefit. Not only can you track attendance or hours spent daily, you can also easily tally the total for each month for easy record keeping purposes. Since we do not have a requirement to track hours or days, I use this to keep track of time spent per subject/day in order to streamline more efficiently. Here's the basic planner calendar. You have all your months and days in an easy layout, with a section for notes. I love the notes section since I can easily jot down reminders, shopping list, etc. This is my favorite section of the planner. This allows those who aren't planners to plan as they go. Change curriculum mid semester? No problem, just go in and add it to the list! Spur of the moment trip to the zoo? GREAT! write it down here! This is a really nice place to keep track of books/programs/resources etc. that have been used all year. Fantastic for portfolio time! This is set up like the "Things to Do" portion. In my opinion, A couple of monthly pages would suffice for this area, instead of a second calendar set up. I would prefer the freedom to sort of journal in things in this portion, rather than look for the month and day. We all go on field trips, and this is a great spot in your planner where you can take notes during the trip. 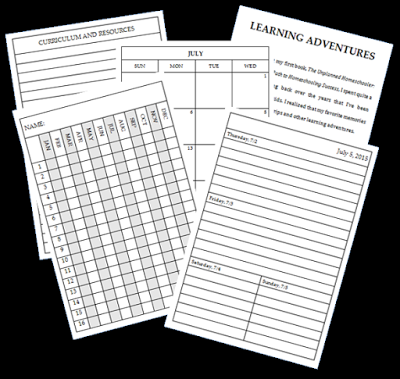 Here you can record your and your child's favorite parts, questions that pop up, areas where you may want to explore again, or do more research on, directions, etc. These are just extra lined pages so that you can do as you need/want. Overall, this is a nice planner for the unplanning types. A few changes I would make would be to just do monthly lined pages for the "Year in Review" section. Maybe in the freed up space there could be journal pages, or maybe an emergency contact page. Otherwise, this is a simplistic and well planned planner for those who aren't of the planning sort! And best of all? It's inexpensive! So go on and check it out today! I received a free copy of this product from the writer in exchange for my honest opinion and review. I was not required to write a positive review, nor was I compensated in any other way. All opinion that I have expressed are that of my own, or my family. I am disclosing this in accordance with the FTC regulations.